1. Timko, N.V. (2011). Culture-Bound Aspects of Color Terms Transaltion from English into Russian. 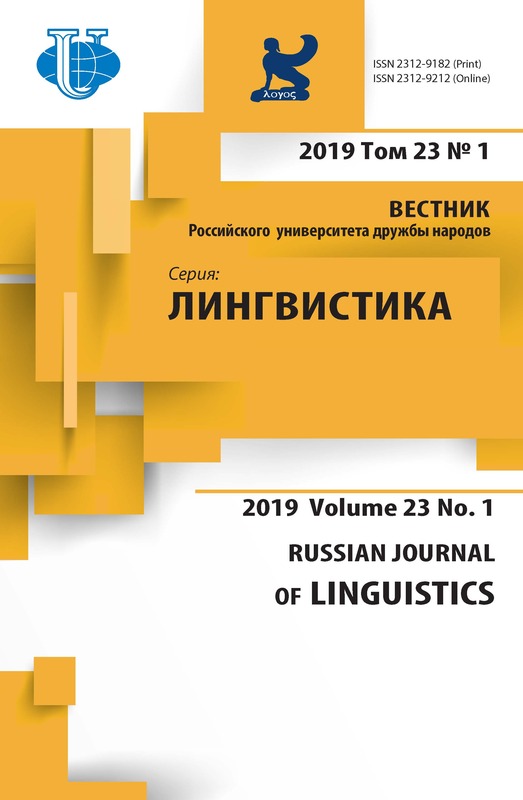 Russian Journal of Linguistics, 1, 24-32. 03.09.2018. REASON TO RETRACT. Plagiarism. Multiple Publication. 2. Egorova, L.A. (2011). The Problem of Scientific Hypermedia Discourse Perception. Russian Journal of Linguistics, 2, 5-10. 3. Balykhina, T.M. (2011). Connotative area of languages and cultures, its meaning for effective communication (teaching Russian communicative behavior). Russian Journal of Linguistics, 3, 77-83. 4. Alontseva, N.V. (2010). Selection of Legal Instruments for Teaching Law Students English for Special Purposes. Russian Journal of Linguistics, 2, 82-86. 03.09.2018. REASON TO RETRACT. Personal Application to Retract. Multiple Publication.